Hawleyite: Mineral information, data and localities. 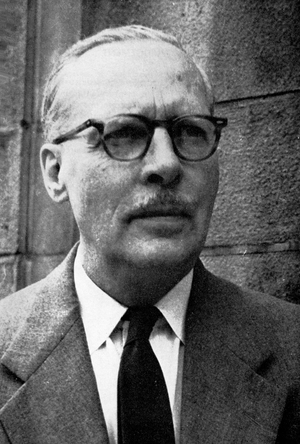 Named in 1955 by Robert James Traill and Robert William Boyle in honor of Professor James Edwin (Ed) Hawley [September 27, 1897 Kingston, Ontario, Canada – April 20, 1965], professor of mineralogy at Queens University, Kingston, Ontario, Canada and a specialist in sulfide ore deposit theory. 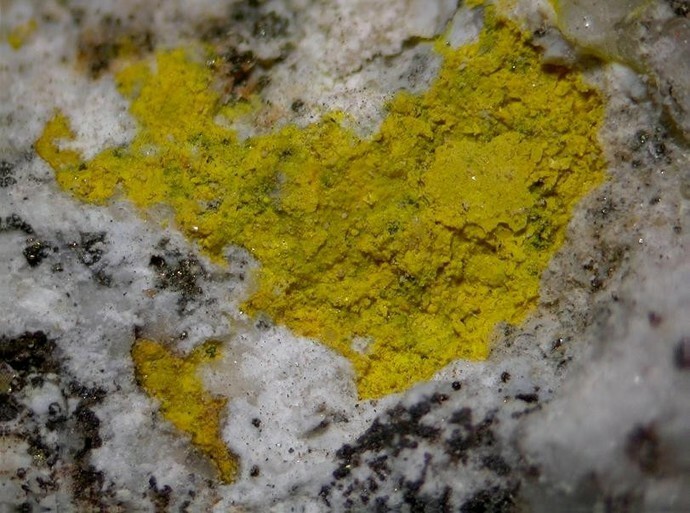 Yellow powdery coatings that also look like greenockite. Much that is attributed to greenockite is actually hawleyite. Smithsonite 4 photos of Hawleyite associated with Smithsonite on mindat.org. Sphalerite 4 photos of Hawleyite associated with Sphalerite on mindat.org. Greenockite 2 photos of Hawleyite associated with Greenockite on mindat.org. Quartz 2 photos of Hawleyite associated with Quartz on mindat.org. Azurite 2 photos of Hawleyite associated with Azurite on mindat.org. Magnetite 2 photos of Hawleyite associated with Magnetite on mindat.org. Mooihoekite 2 photos of Hawleyite associated with Mooihoekite on mindat.org. Fe-analogue of Valleriite 2 photos of Hawleyite associated with Fe-analogue of Valleriite on mindat.org. Allophane 1 photo of Hawleyite associated with Allophane on mindat.org. Galena 1 photo of Hawleyite associated with Galena on mindat.org. Contains cadmium - always wash hands after handling. Avoid inhaling dust when handling or breaking. Never lick or ingest. TRAILL, R.J. & BOYLE, R.W. 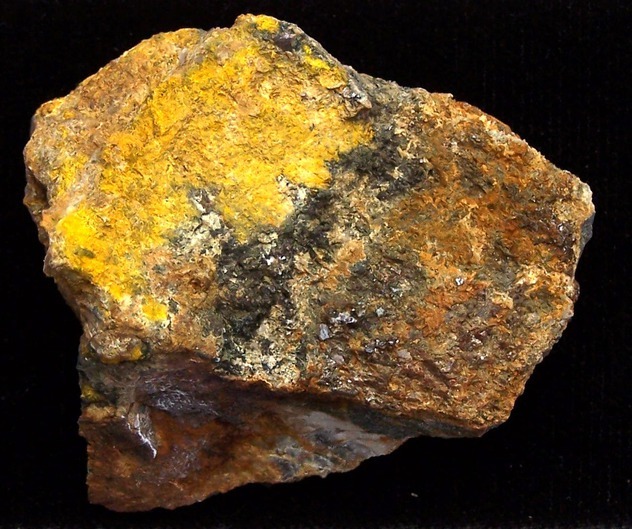 (1955): Hawleyite, isometric cadmium sulphide, a new mineral. American Mineralogist 40, 555-559. Cerny, P. (1957) Second occurrence of hawleyite-b-CdS. 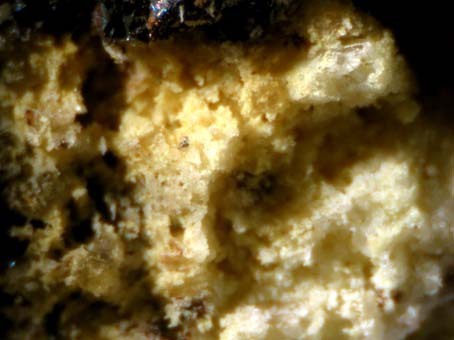 Casopis Mineralogii a Geologii: 2: 13-16. Handbook of Mineralogy; Clark, A. H., & Sillitoe, R. H. (1971). Hawleyite from Mina Coquimbana (Cerro Blanco), Atacama Province, Chile. N Jb Miner Mh, 205-210. Kruťa, T.: Příspěvky k moravské topografické mineralogii VI. Časopis Moravského musea v Brně, 1956, roč. 41, s. 5-30. Amstutz, G. C., El Goresy, A., Frenzel, G., Kluth, C., Moh, G., Wauschkuhn, A., & Zimmermann, R. A. (Eds.). (2012). Ore Genesis: The State of the Art (Vol. 2). Springer Science & Business Media. Ryback, G., Nawaz, R. and Farley, E. (1988) Seventh Supplementary List of British Isles Minerals (Irish). Mineralogical Magazine, vol. 52, n° 365, pp. 267-274.; Anthony, Bideaux, Bladh, Nichols (1990) Handbook of Mineralogy, Vol. 1.; Morrissey, C. J. (1970) The Mineralogy, Structure and Origin of the Lead-zinc-copper Residual Orebody at Tynagh, County Gamay, Ireland (Doctoral dissertation, Imperial College of Science and Technology London). Stalder, H. A., Wagner, A., Graeser, S. and Stuker, P. (1998): "Mineralienlexikon der Schweiz", Wepf (Basel), p. 198. Eakle, A.S. (1917) Minerals associated with crystalline limestone at Crestmore, Riverside County, California. University of California Bull. Department of Geology: 10: 352; Pemberton, H. Earl (1983), Minerals of California; Van Nostrand Reinholt Press: 86. Kampf, A. R., Nash, B. P., & Loomis, T. A. (2013). Phosphovanadylite-Ca, Ca [V4 4+ P2O8 (OH) 8]· 12H2O, the Ca analogue of phosphovanadylite-Ba. American Mineralogist, 98(2-3), 439-443. Tony Nickischer specimen and analysis. ⓘ Big Chief Mine (Johnson pegmatite) ?